Informally known as the Pinwheel Galaxy, M101 is a spiral galaxy that is seen face on. It is a galaxy similar to our own galaxy, the Milky Way. It is relatively close by, only about 20 million light years away, meaning that we can see detail inside very well. 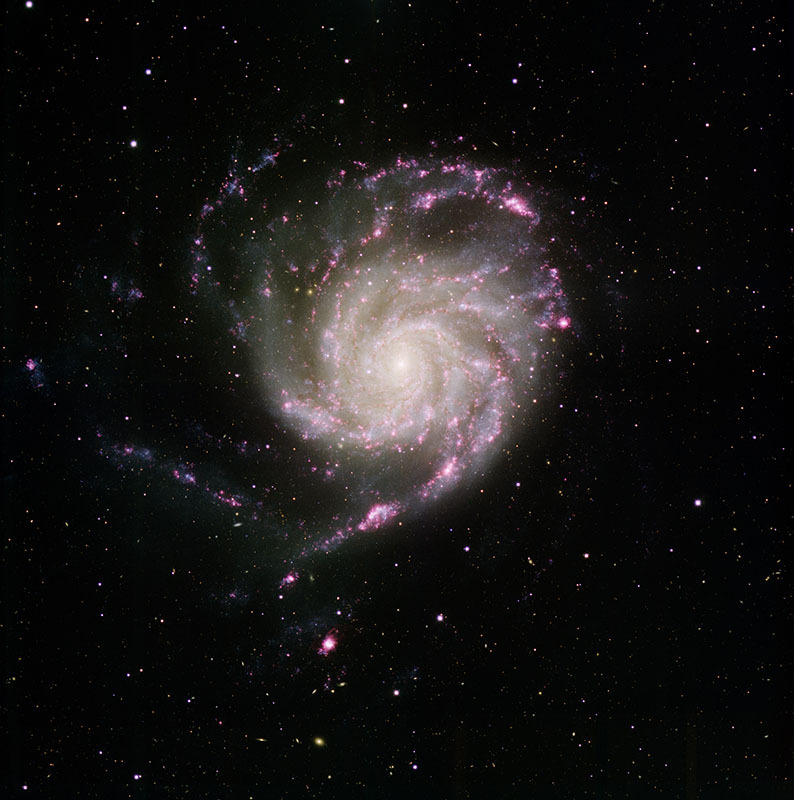 The spiral arms of M101 are filled with numerous regions in which stars are forming (seen as pink clouds of gas).